Lying on the eastern peninsular region of India, Orissa is a state that shares about 450 km of the Indian coastline. Sharing its coastal front with the Bay of Bengal, Orissa is home to some of the most brilliant beaches on the east coast of the country. The silver sand, the crystalline blue skies and the calm waters make the beaches here laid back and relaxing. Lined up with an array of the coconut and the palm trees make the beaches splendid. Here is a list of top 10 beaches in Orissa. Lying near the town of Chatrapur, Aryapalli beach is a quiet and composed beach. Overlooking the clear deep waters of Bay of Bengal the beach is a perfect blend of sand and surf. The Sand Mineral Project is a major attraction on the beach. The arrays of Casuarina trees provide a perfect vibrancy to the place. The trees swaying rhythmically with the wind and the gushing waves speak volumes. The dusks and the dawns are spectacular while the climate is fortifying, the beach makes the natural phenomena more serene. At a distance of about 3 km from the famous Konark Sun Temple lies the Konark Beach in Orissa. The sun-kissed sand and the dazzling waters of the place make the beach drenched in serenity. May it be the noisy waves echoing all along the beach or the calm water of the Bay of Bengal, Konark beach magnetizes its visitors for enjoying and experiencing nature at its best. Leisurely walks and observing the rising sun at the distant horizon is what the beach is known for. 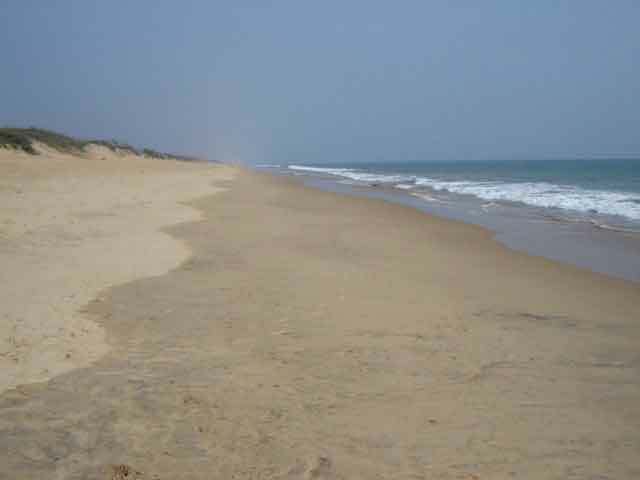 Puri Beach is one of the busiest beaches of Orissa for its close proximity to the temple of Jagannath Puri, which is one of the Chaar-dhaams of the Hindus. The beach here is famous for the purifying dips that the pilgrims take while in the city. Also the long stretch of the sea and clear waters makes swimming a feasible option. A number of kiosks run around the beach and gives an opportunity to shop and spend some quality time by the sea. The cleanest beach of Orissa, Chandipur Beach is a peaceful place for being by the sea. The beach experiences the rare phenomenon of ebb and flow of the Bay of Bengal waters for up to 5 km. The gushed flow of the tides make you feel like ocean forming and retrieving at your feet right in front of the eyes and the coastline seems like an illusion. To lose self in such a divinity of nature is something that some rare yet enchanting places can offer. Ramchandi beach gets its name from the temple of Goddess Ramchandi that is situated on the beach and draws a lot of devotees to this beach. Situated about 7 km away from Konark, Ramchandi beach is calmer than other beaches of the state. The clear waters and the sun-kissed sand make the aura of the place more divine. The row of palm trees that are towering parallel to the shoreline of the beach sway in accordance with the winds while the water provides the musical notes. The beach of Gopalpur is a sailor’s paradise. The serene quiet beach with the remnants of the pillars of an old jetty and a port, this beach is secluded and has calm surroundings. The beach is safe for both surfing and sailing because of its smooth sands that unify with the deep blue waters of the Bay of Bengal effortlessly. With coconut trees lined up along the beach, the beach provides a striking view of the horizon. Also one can see the fishermen involved in their daily activities with their nets full of fresh sea-food. The virgin beach of Orissa, Pati Sonapur is a delightful beach. The untouched and unexplored beach is raw temptation to the beach lovers. The beach lies at the confluence of the Bay of Bengal with the Bahuda River. 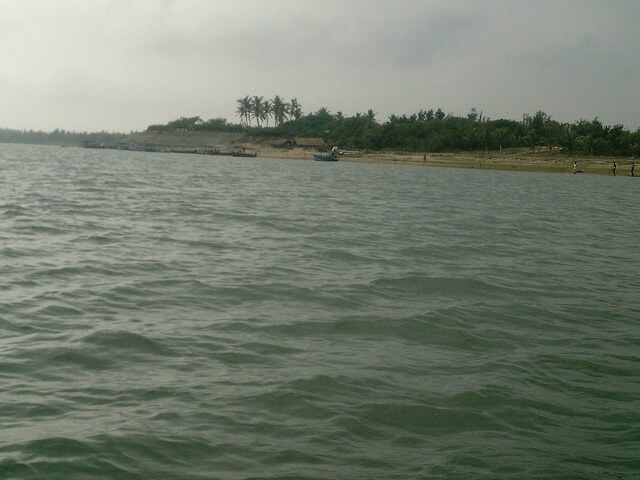 The backwaters here separate the main land of Sonepur from the sea. This beach is solace for people who want to spend some lone time or with their ‘someone special’. Spreading its aquatic magic and magnetism, Paradeep Beach lies at the unifying point of the Mahanadi and Bay of Bengal. The beach here is an important port of Orissa which lies on an estuary of the Mahanadi, Paradeep. The scintillating blue water of the amalgam of the two water bodies and the shimmering golden sands of the beach make it a heaven for any nature lover. The beach relaxes the mind and the soul. Astaranga, the name literally translates in the local language means ‘The colours of the setting sun’. The beach living up to its name colours up the horizon in different shades of yellow, orange and reds that make the entire sky a canvas of colours with sun as an orange ball disappearing in the sea. The long beach with sun-kissed sands and clear waters has a charisma that can mesmerize anyone. 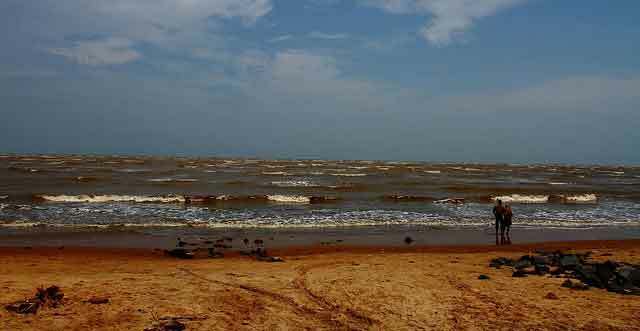 The quieter beach of Orissa, Balaramgadi beach lies about 3 km away from the Chandipur and is the meeting point of the Budhabalnga with the Bay of Bengal. The calmer beach is away from the commercialization and is admired for hearing the music of the waves. Some activities like fishing and boating by the locals can be observed here. Orissa is well known for its clear waters and clean beaches that draw a lot of tourists to explore the enchanting beauty of the eastern coast of India.